Musique Française - French Music: Izia et Orelsan "Les Ennuis"
Pourquoi ce titre "Bistrot Maison", me direz-vous? Et bien Oui, j'ai décidé d'amener mon bol de café "Bistrot Maison", une bouteille isotherme, contenant un bon café tout chaud, un livre de Maupassant (mon auteur préféré)...et c'est parfait pour une journée détente en mode Nature. 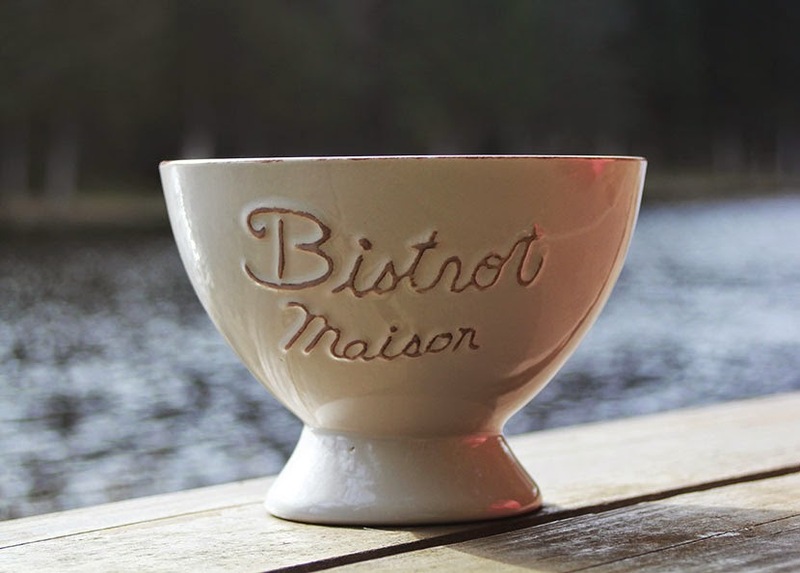 Why this title "Bistrot Maison" (Home Bistrot), will you tell me? Ok, well Oui, I have decided to bring my own cup "Bistrot Maison", an isothermal bottle, with inside a good hot coffee, a book "Maupassant" (my favorite French writer)...and this is perfect for a relax day in the Nature. nice skirt i love it! You look absolutely amazing in this outfit. Just beautiful. such a cute look for spring! Very cute outfit! I like your pony tails! First time I used a cup like yours to have coffee when I was in Las vagus! There is a french restaurant here on the stripe. I wasn't sure how to hold my cup since it looks like a bowl and there was not a handle. ;) But I am a Chinese and we used to hold a big bowl to have soup. So I managed to have my coffee that day. Lol! Cute outfit. Love the skirt! 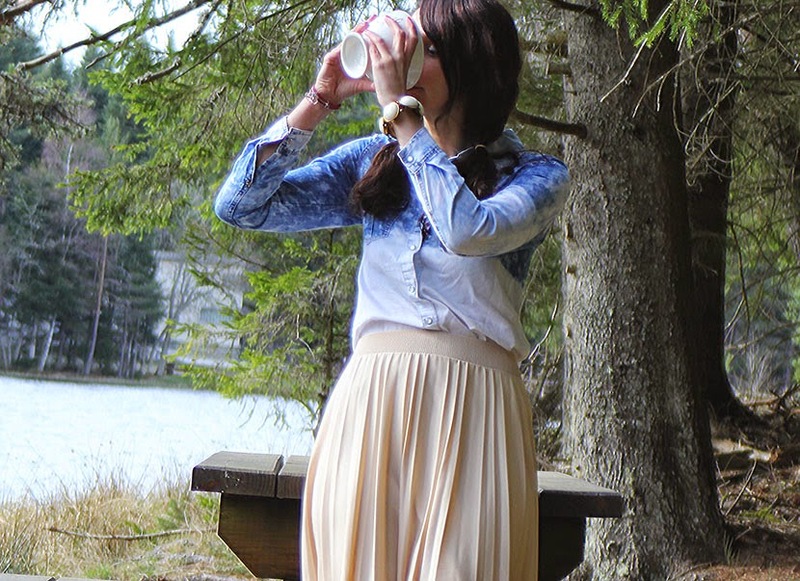 Love the skirt, this look is so pretty! 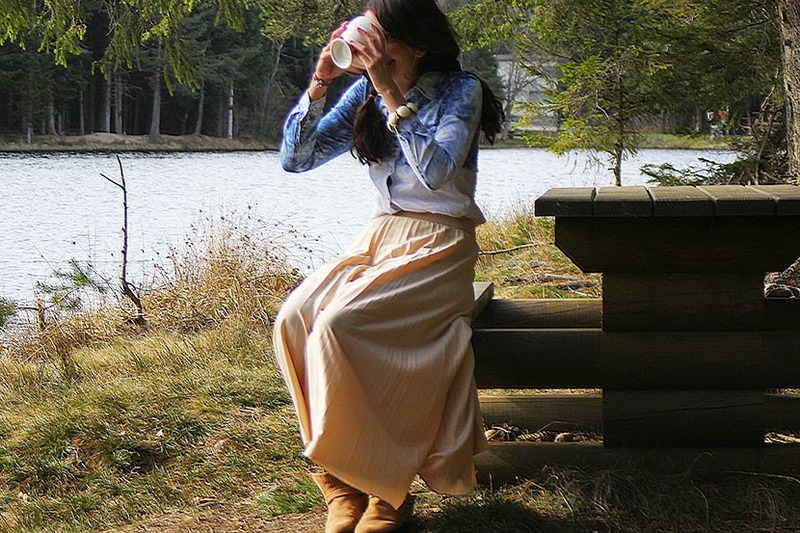 I absolutely adore your skirt! It's so classic. Hi Sandy!You look great, as always!I love pleated skirts! You are so gorgeous! 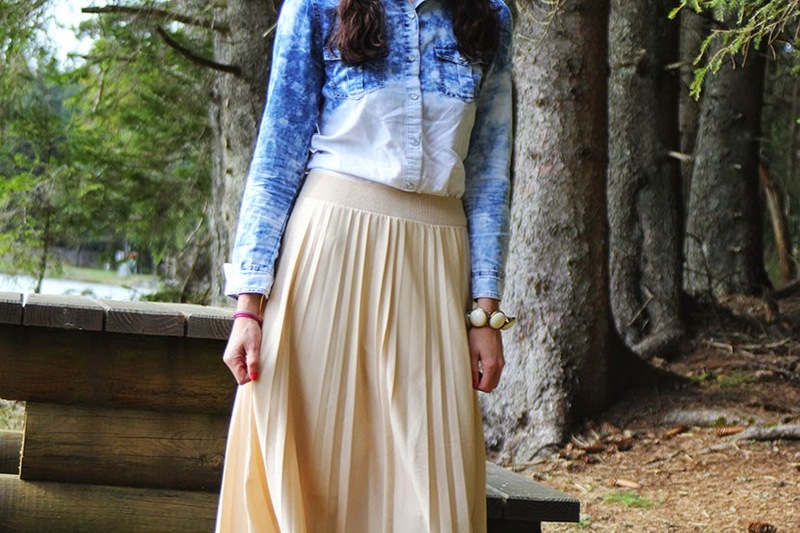 Love how you mix denim with a romantic skirt! Wonderful denim shirt & mug! Hi there, great look I am all about that mug!! so cute. have a great week. Amazing pictures and location and you look super cute.